Our friends at Google shared a new Gmail web interface recently. So, what exactly does this new design look like, and how does it impact the way you email in Shift? 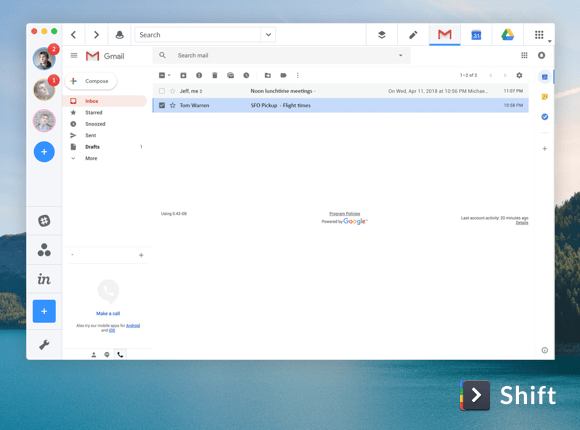 Google described the new interface as a fresh, clean look for Gmail on the web with some exciting additions like Smart Reply on the web, just like on mobile. We went ahead and mocked up exactly what it looks like for you, right inside Shift. In the image below, you will notice the new Compose button, and right-hand views for Calendar, Keep, and other Google apps. 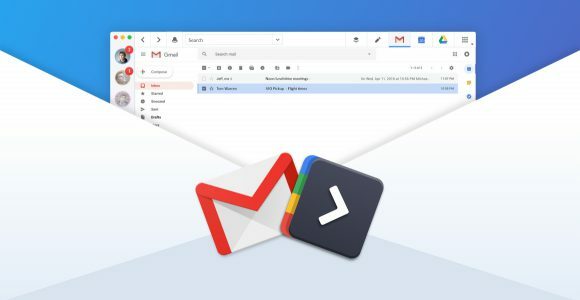 Shift handles the multiple account matrix for Gmail customers with several accounts across Mail, Calendar and Drive, as well as third-party apps and extensions. “Not bad at all, and it looks nice with our new light theme!” said Shift designer, Mateusz Dembek. “All of the right-hand views for Google Apps are similar to a mobile view, and easier for at-a-glance Calendar view when writing an email and trying to plan a meeting at the same time. 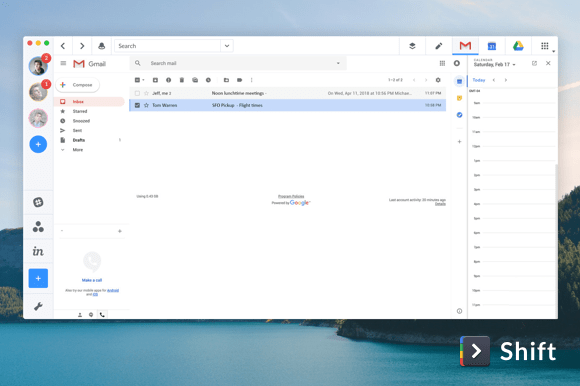 For full week or month view, Shift offers Gmail customers an easy way to toggle between multiple Mail and Calendar views and accounts, ” said Director of Product, Michael Foucher. The ability to “snooze” emails and have them returned to your inbox later is another nice addition. Many Gmail users will appreciate having that functionality built right in. So, what are we most excited about here at Shift? All of the above, but especially offline support, which will give Shift customers much more flexibility when looking to get stuff done while off the grid.